I mentioned in my Korean beauty haul that I discovered a new holy grail product, and today I'm writing about it! Some of you may know that I suffer from acne prone skin (read about the products I use to treat my acne here) so I'm always on the lookout for products that will minimize my breakouts - especially when it comes to healing those hated acne scars. Well, I've finally found the product to treat those pesky acne scars! It may be very humble in appearance and I may be very late to discovering it since this type of product has been on the Asian beauty market for a long time, but better late than never right? The Skinfood Trouble Clear Spot Patch are healing "stickers" for your acne that immensely speed up the post-blemish healing process. 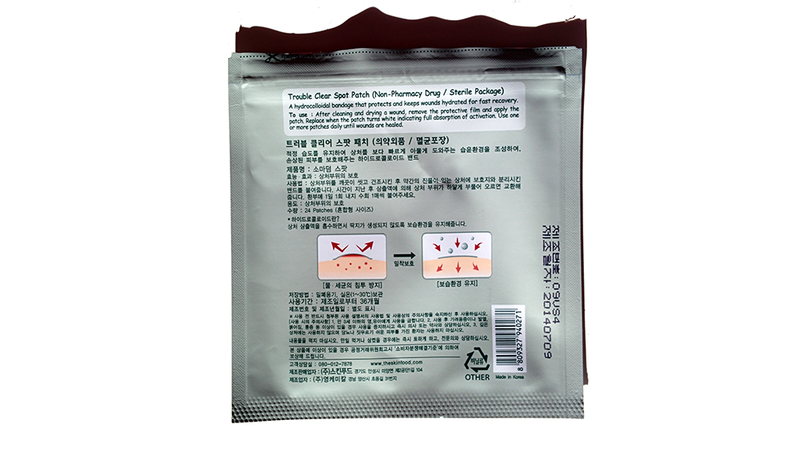 This patch is used in the post-blemish healing process. The patch does several things to the blemish - it flattens the blemish by reducing inflammation, it prevents the blemish from peeling excessively, and it helps fade and somewhat prevent severe acne scars. 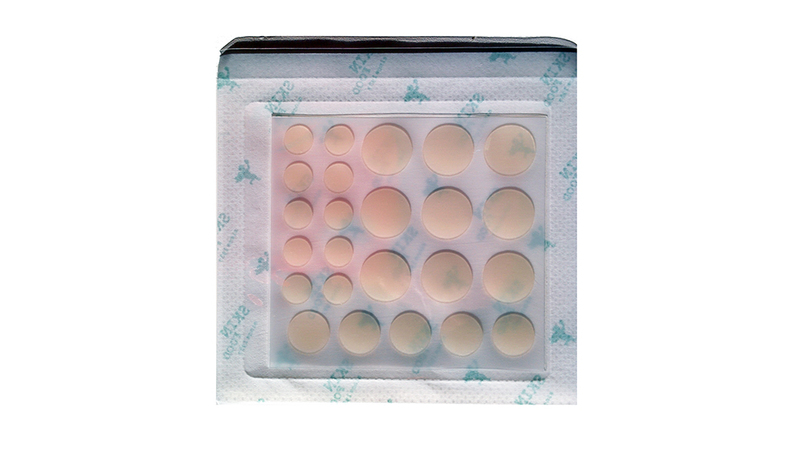 After you extract and clean the blemish, you put on one of these patches directly over the blemish. I have to emphasize that the patches only work on extracted blemishes. Meaning, all the bad gunk inside the blemish has to be gone. This won't work against blemishes that are still clogged! Trust me, I tried and it didn't do anything to the blemish. You can use this during the day or overnight. If you use it during the day, you'll know when the medicine inside the patch has done its job because the patch turns white. At that time, you can remove it and put another patch on top if you would like. 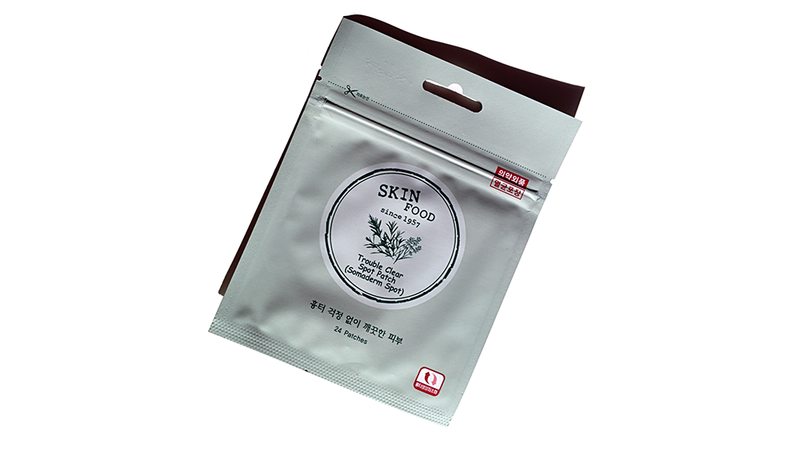 The Skinfood patches retail for around $5. I've already gone through a whole pack of these and luckily since there are Skinfood stores in New York (there is also a store in San Jose, California), it's easy for me to repurchase. If you live outside of New York and California, and may be purchased on Amazon, but in packs of 3. Other Korean beauty brands such as Missha, Etude House, Innisfree, and Tony Moly also have their own version of the acne spot patch. I highly recommend trying these spot patches out especially if you suffer from post blemish acne scars! !